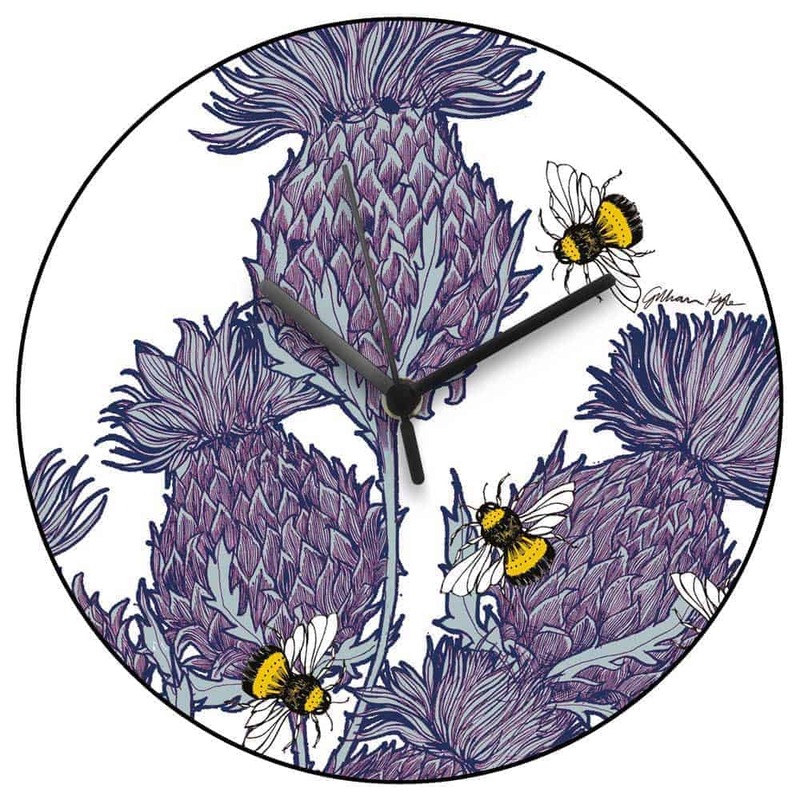 Featuring jaggy thistles in shades of purple surrounded by vibrant and beautiful yellow bees, this gorgeous, modern wall clock will add some Scottish style to any room of your home. 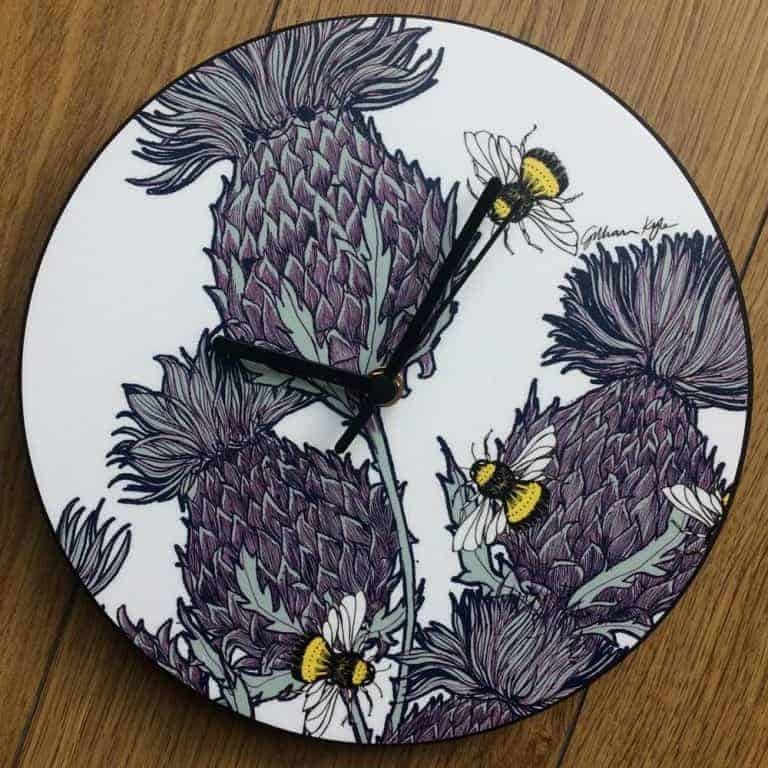 Great for fans of Scotland and Scottish wildlife, this clock makes a fantastic Scottish gift for a wedding, Christmas present or housewarming gift. Perfect as a kitchen clock, too. We also have a wide range of other clocks with other patterns available here. Or if you love this artwork as much as we do, check out some of the other products in our ‘Butterflies and Beasts’ range here. 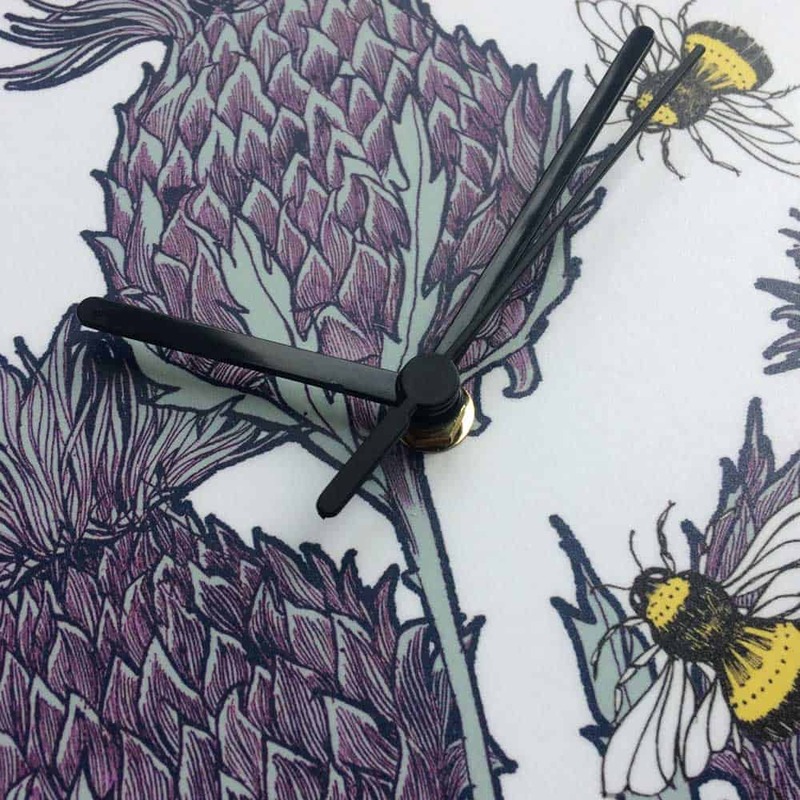 Our wall clocks are made in the UK and have a composite wood dial with a digitally printed face and sturdy plastic hands. They are glass-free and have a Quartz movement with integral hanger on the back. The clock requires 1 x AA battery, which is not supplied. Our wide variety of other clocks are also available here.